What Makes Olathe A Great Place to Call Home? This year, 24/7 Wall St., an independent financial/business news website, ranked the city No. 23 on its list of America’s 50 Best Cities to Live In. So what makes Olathe so great? 24/7 Wall St. ranked Olathe and the other cities on their list based on crime rates, employment growth, educational attainment and housing affordability. Olathe – the only city in Kansas to make the “Best Cities to Live In” list – earned high marks for its robust local economy. In 2008, the U.S. Census Bureau ranked Olathe the 24th fastest-growing city in the nation, and a strong job market helps draw new residents. The study noted that Olathe’s total employment rose by 14.4% between 2011 and last year, the largest increase among all cities reviewed. Partly because of that, poverty is low in Olathe. Only 5.6% of the city’s residents live below the poverty level, compared to the statewide poverty rate of 12.2%. Only 3.2% of Olathe’s workforce is out of a job – a statistic solidly below the 4.2% statewide unemployment rate and the 4.9% U.S. rate. Affordability also scored points for Olathe. 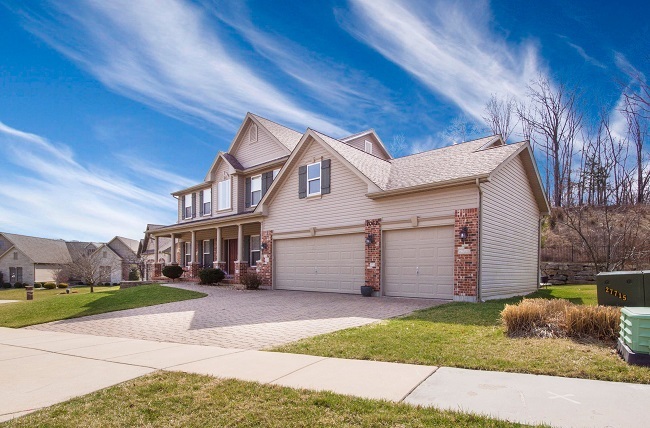 Typical Olathe homes cost just 2.6 times the area’s median household income. For perspective, the typical home is worth 3.6 times the typical income nationwide. According to USA Today, the median Olathe home value is $217,300. This may be enticing millennials to buy Olathe homes. Across the country, home ownership among millennials is down, but Olathe took the top spot in a list of where millennials are buying homes, according to a study from financial technology website SmartAsset.com. SmartAsset.com, which defined millennials as 18 to 24 years old, assessed the following metrics: the 2016 millennial home ownership rate and the rate of change in millennial homeownership from 2007 to 2016. The study then found each city’s average ranking, equally weighing both metrics. According to SmartAsset, more than 50% of millennial households own their Olathe homes, which was the fourth-highest rate in the study. If you’re thinking about buying a home, Olathe is one of the best cities in the area to consider – even if you’re not a millennial! Call our team of experts at Team RE – 913.451.5711 or visit teamre.com – when you need some expert advice or help navigating the current seller’s market. Our professionals cover Olathe and the entire KC metro area. We’d love to help you find a house you can call home!